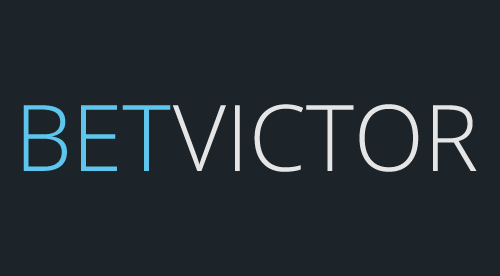 BetVictor Live Casino comes to gamers virtue of a rich gambling legacy that stretches back to the 1930s and the original Mr Victor Chandler – one of the most famous betting entrepreneurs. Through the decades, the brand has evolved into VC Bet, back to Victor Chandler and now BetVictor – inclusive of a high-end Live Casino product. If you game with BetVictor then you need to be aware that this is a brand constantly innovating. That's generally a positive thing, but if you like getting comfy and don't like upgrades and getting out of your comfort zone now and then, turn away now. With respect to the live casino, this has seen the site move from four to five live casino providers, each with their own lounge, to one standalone casino as of March 2018, powered by Evolution Gaming. BetVictor has made a decision to align with the software house it ranks as number one – an approach that adds elegance to the casino. BetVictor has invested heavily to ensure its Live Casino matches the brand's heritage by delivering fast, smooth table gaming whether you're playing via mobile, laptop or desktop. The speed and functionality has been aided by a refinement of the site's live lounge by Evolution Gaming. The newly refurbished BetVictor Live Casino now beams tables direct from casino studios in Malta, Riga and Bucharest, thanks to the brand now focusing on Evolution Gaming to power live table play. To get gaming, players simply need to create a regular BetVictor account then click on the Live Casino tab; like all live venues, you can't test it without creating an account. Once inside the lounge, selecting live tables is exciting, slick and intuitive – take your pick from a selection of high-end European croupiers. The experience is classy, with plenty of scope to personalise things to your taste. Switch on graphical overlays or just beam the live lounge to your screen, toggle on and off between live dealer chat, and surf between tables in seconds. High rollers can up the ante and enter VIP saloon rooms for discreet, high-stakes sessions. BetVictor's Live Casino lounge offers four core niches to select – Live Roulette, Live Blackjack, Live Baccarat and 'Other' live Games. Each zone contains several variations of each game, such as VIP Roulette, London Roulette, Auto Roulette, French Roulette and Immersive Roulette. Similarly, selecting Baccarat lets you play Baccarat Control Squeeze, Baccarat Speed and regular Baccarat tables. The Other games lounge usually features Poker variations, notably Caribbean Stud Poker, Casino Hold’em and Three Card Poker. With games such as Casino Hold'em having progressive jackpots, live gaming can also pay out massive jackpots. When it comes to wagering, the site suits a range of bankrolls and comfort levels, typically ranging from £1 to £20,000 for roulette, £5 to £10,000 on Blackjack and £1 to £10,000 at the Baccarat tables. New and existing players at BetVictor Live Casino can benefit from a constant stream of bonus offers and promotions, although it's worth checking each offer to see if the bonus is useable in the Live Casino or on selected games in the regular casino only. Signing up for a new account gives you access to both casino products, and the chances are you'll bank some useful bonuses. Clicking on the Offers tab at the top of the site keeps you up to date with the latest bonuses, which cover all the site's niches inclusive of Casino, Live Casino, In-Play and Sports promotions. However, like most top live casinos, the premium nature of the Live Casino means it doesn't tend to feature every week when it comes to bonus offers. BetVictor offers high-end payment options with minimum deposits from £5 to £20, typically, including Visa, Neteller, Skrill and PayPal. You can expect real integrity when it comes to swift withdrawals, the latest security tech and honouring huge jackpot wins in prompt fashion from the Live Casino. Gaming support for Live Casino players is also extensive, featuring the Help Centre button that contains information covering the brand’s holistic products, with FAQ’s, how to videos, odds calculators and an array of useful hints and tips. BetVictor prefers gamers to find a solution to issues before taking-up customer service resources; this means to contact the site, you need to take the slightly less obvious route of clicking the ‘Contact us’ button, which are found at the bottom of the browser. Where BetVictor earns brownie points is with some extras in the customer service stakes – in addition to classic live chat, you can also request a call back and get help via SMS, with 24/7 functionality. The Live Casino at BetVictor pays homage in style to the name of Victor Chandler and is primed to take the brand to the next level of success in the gambling industry. What's more, as a site that's always brave enough to innovate and upset the status quo, players at BetVictor can enjoy the current high-class live gaming, but look forward to more upgrades in the not too distant future.